The nightmare of every angler. But don’t panic! Broken rods are in most cases good repairable. 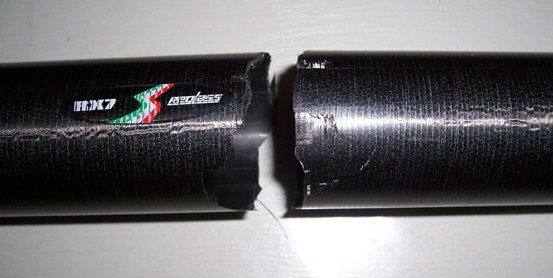 Rod fractures are usually good repairable, but it still should be possible. A complete crushed rod part is no longer repairable. Also if some big parts are missing of the carbon. This broken carp rod is also good repairable. Pole rods are also good repairable in most cases. In these cases a reinforcement gets placed on the inside and always on the outside. Cracked fishing rods can be repaired.